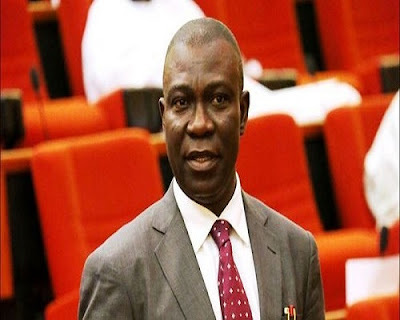 Deputy Senate President and a leader of the Peoples Democratic Party, PDP, in the South East, Senator Ike Ekweremadu has reacted to speculations making the rounds that he was on the verge of decamping to the All Progressives Congress, APC. There were reports that the lawmaker was leaving the party following some decisions taken by the PDP leadership which were not in his favour. There was also ill feeling after a former Governor of Anambra State Peter Obi was picked as the running mate to the party’s presidential candidate, Atiku AbubakarI without the consent of the party leadership in the region. But reacting to the rumours in a Facebook post obtained by the media on Wednesday, Ekweremadu said he was still a member of the main opposition party. According to him, “In the past 24 hours, I have been inundated with calls from friends and political associates seeking clarification on the rumours of my departure from the Peoples Democratic Party (PDP), which has dominated the media. "My vision in politics is a system that works for everybody, a social and political environment where everybody, every section, and every tribe not only counts, but is also seen to count. “Please, be rest assured that I am still in the PDP"